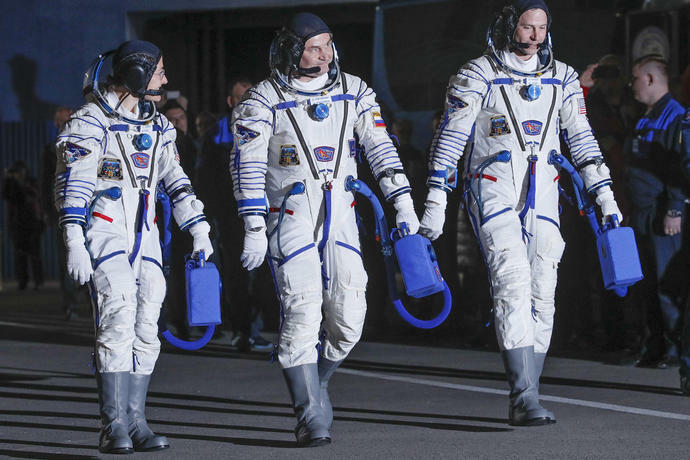 BAIKONUR, Kazakhstan (AP) - A Russian-American crew arrived at the International Space Station on Friday, five months after a botched launch led to an emergency landing for two of the three astronauts. 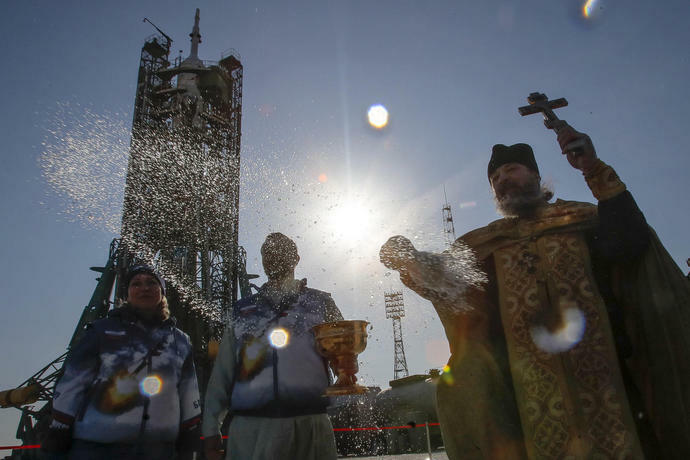 This time, the Russian Soyuz rocket carrying NASA astronauts Nick Hague and Christina Koch along with Roscosmos' Alexei Ovchinin lifted off precisely as planned from the Baikonur cosmodrome in Kazakhstan at 12:14 a.m. Friday (1914 GMT Thursday). 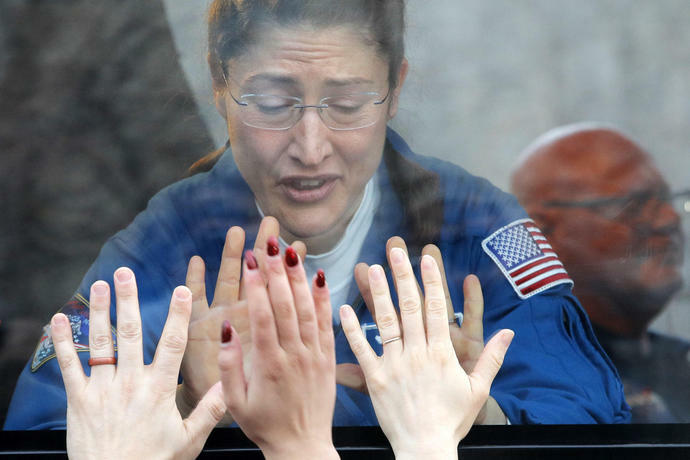 Six hours later, their capsule docked at the orbiting outpost. 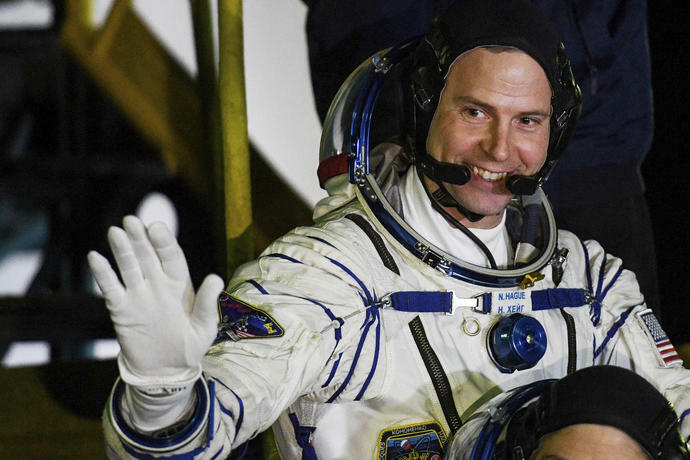 On Oct. 11, a Soyuz carrying Hague and Ovchinin failed two minutes into flight, activating a rescue system that allowed their capsule to land safely. 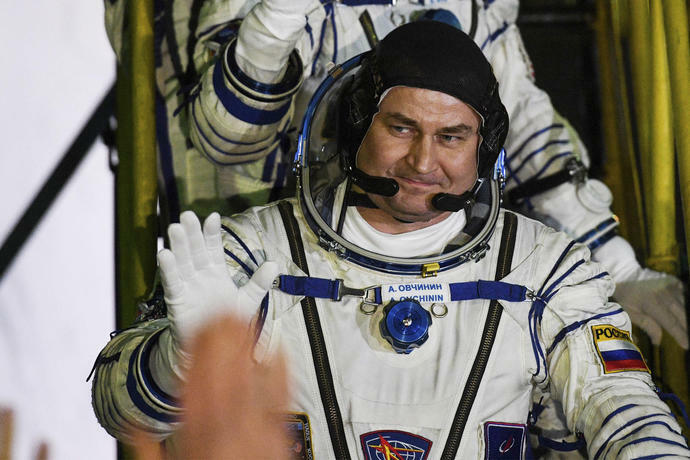 That accident was the first aborted crew launch for the Russian space program since 1983, when two Soviet cosmonauts safely jettisoned after a launch pad explosion. 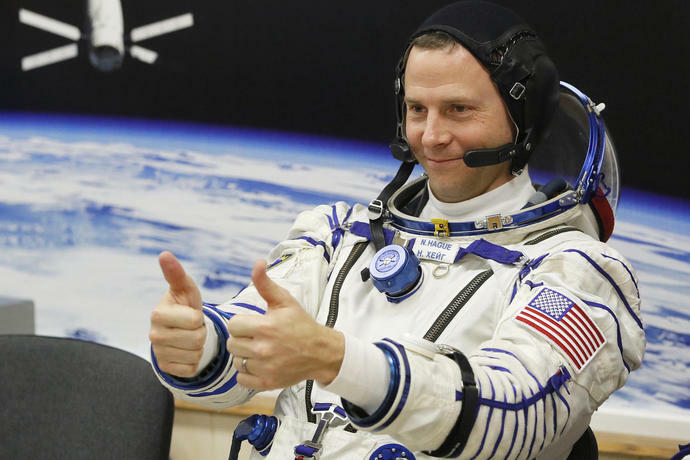 On Friday, NASA Administrator Jim Bridenstine congratulated the crew on a successful launch. 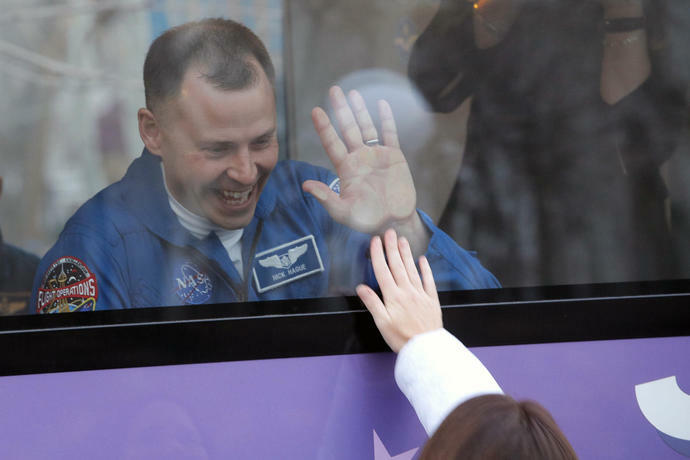 "So proud of Nick Hague for persevering through last October's launch that didn't go as planned," he tweeted. 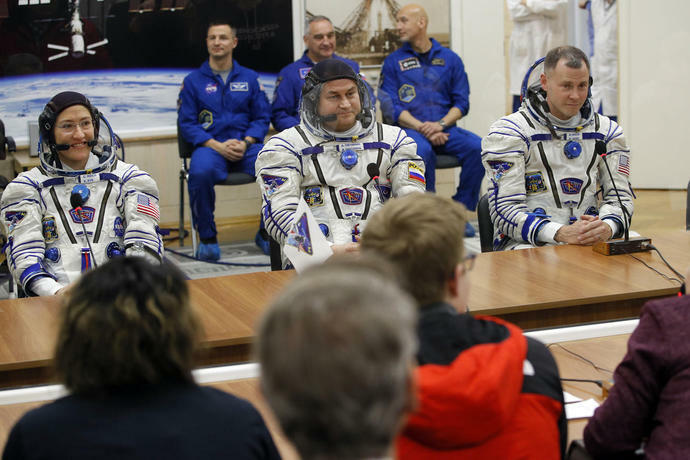 Speaking at a pre-launch news conference at Baikonur, the astronauts said they trusted the rocket and fully believed in the success of their mission. 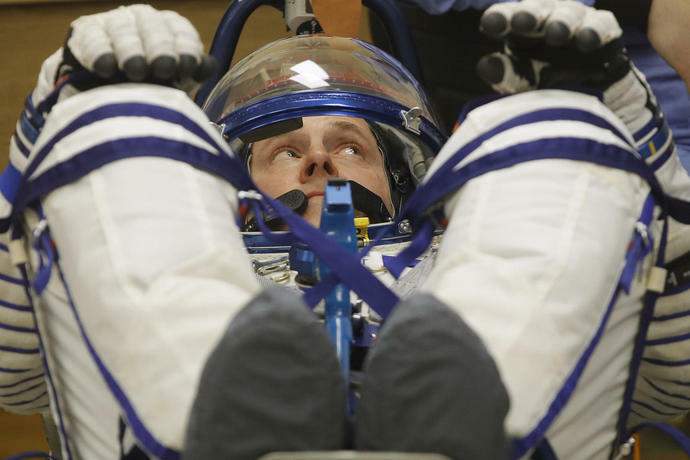 "I'm 100 percent confident in the rocket and the spacecraft," Hague said. "The events from October only helped to solidify that and boost confidence in the vehicle to do its job." 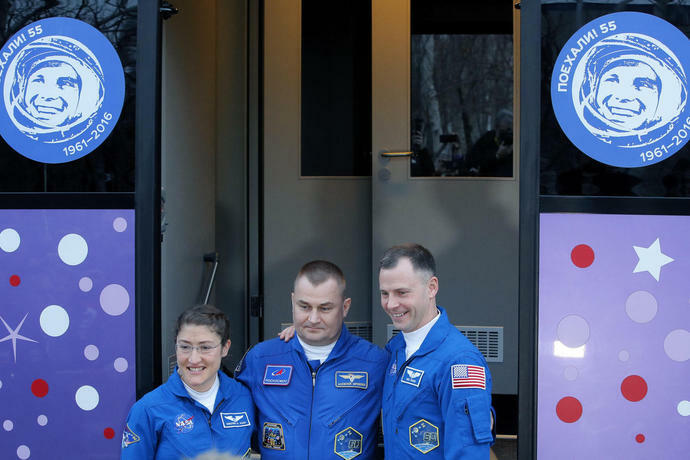 The trio will join NASA's Anne McClain, Roscosmos' Oleg Kononenko and David Saint-Jacques of the Canadian Space Agency who are already on the space station. 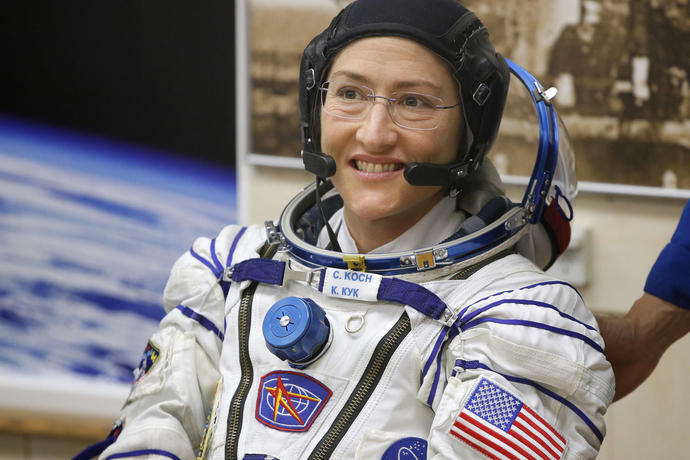 They will conduct work on hundreds of experiments in biology, biotechnology, physical science and Earth science. 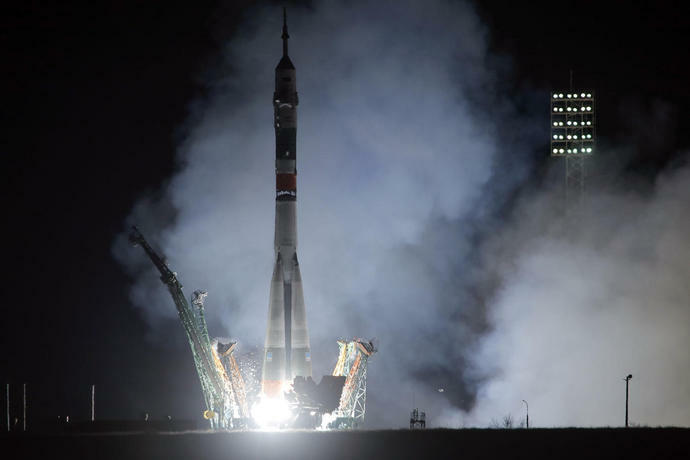 When one of the four strap-on boosters for their Soyuz failed to separate properly two minutes after their launch in October, Hague and Ovchinin were jettisoned from the rocket. 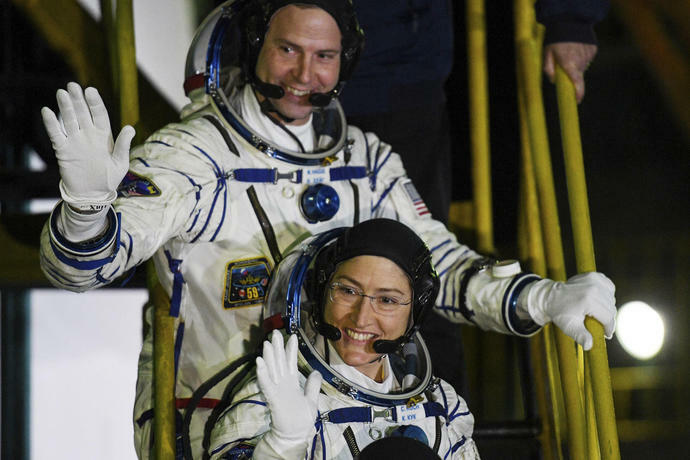 Their rescue capsule plunged steeply back to Earth with its lights flashing and alarms screaming, subjecting the crew to seven times the force of gravity. Hague emphasized Wednesday that they were well-trained for the emergency. 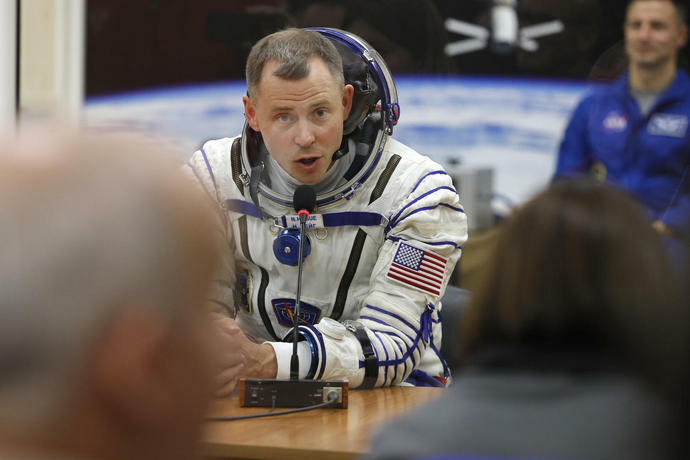 "The nature of our profession is we spend 90-95 percent of our time practicing what to do when things go wrong," he said. 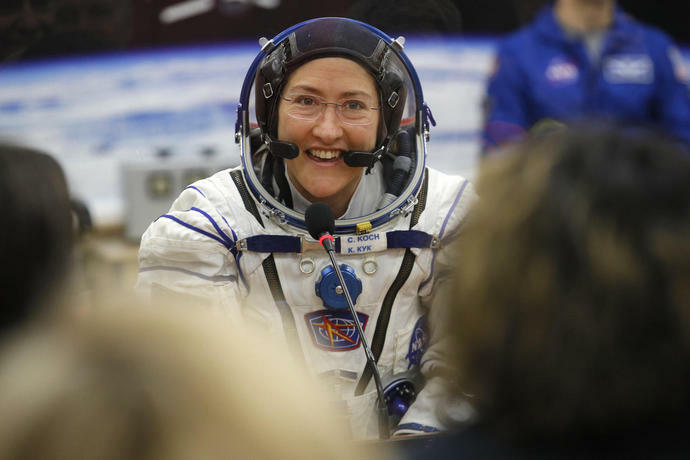 "And so we spend all that time training, running through all those scenarios. 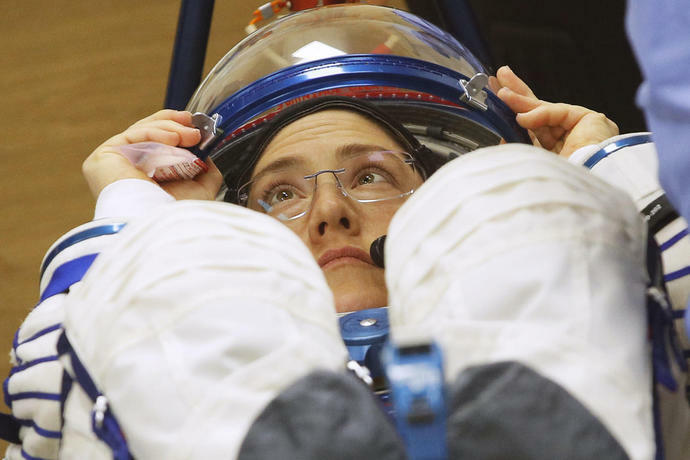 And because we do train that way, like in October when things like that happened, we were ready to do what we need to do to come out successfully." 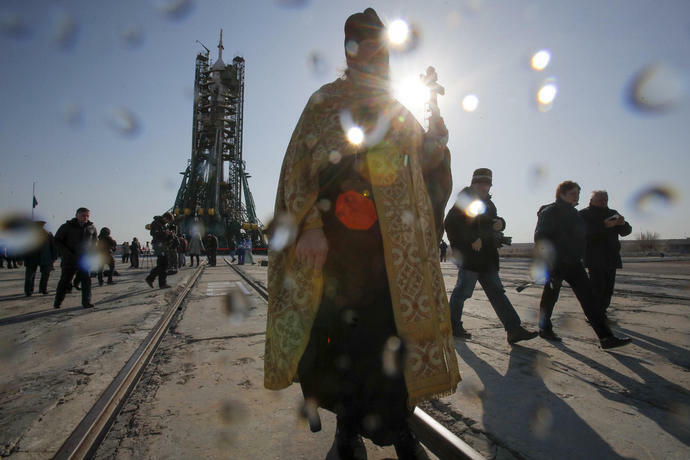 The October failure was the first aborted launch for the Russian space program in 35 years and only the third in history. 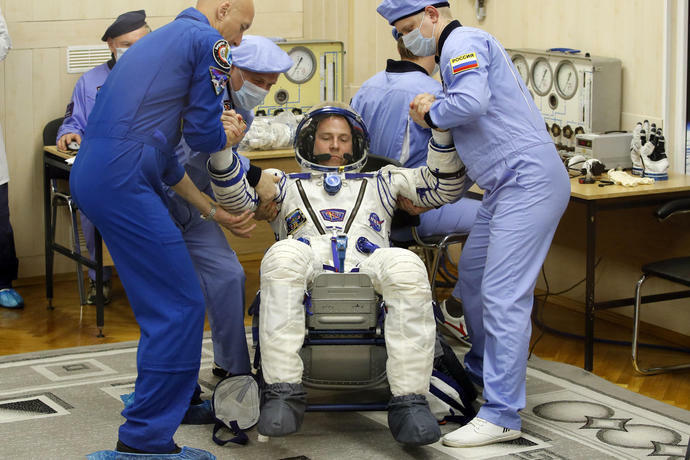 Each time, the rocket's automatic rescue system kept the crew safe. 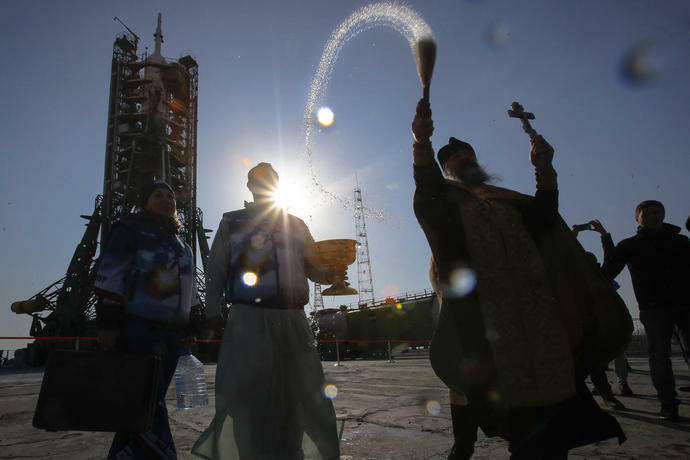 A Russian investigation attributed October's launch failure to a sensor that was damaged during the rocket's final assembly. 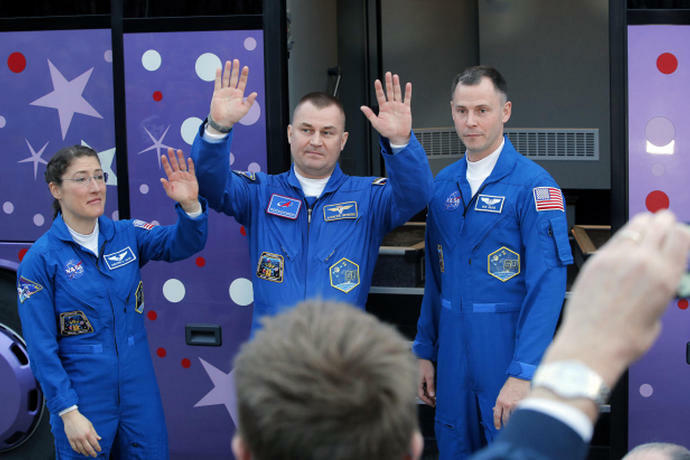 The next crew launch to the space station in December went on without a hitch. 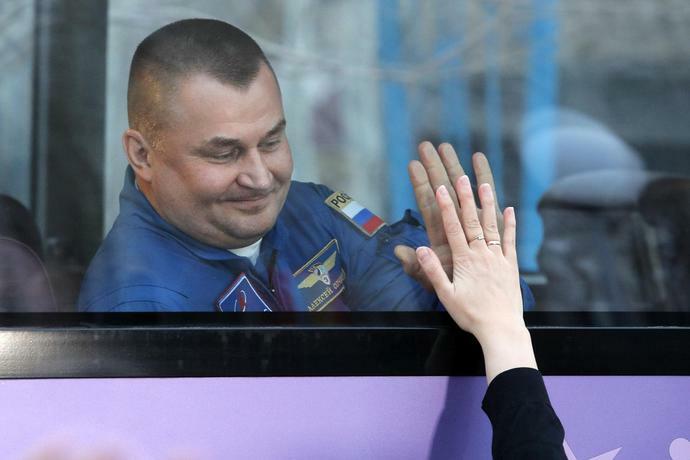 Ovchinin recalled that they felt "more annoyed than stressed" when their rescue capsule touched down in the barren steppes of Kazakhstan. 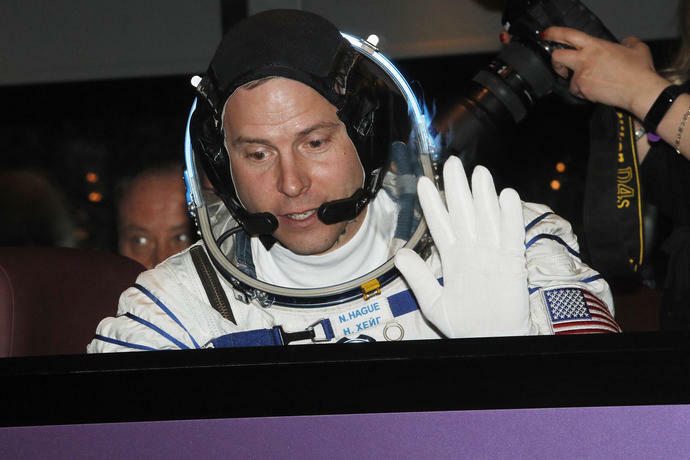 "It was disappointing and a bit frustrating that we didn't make it to the International Space Station," he said. 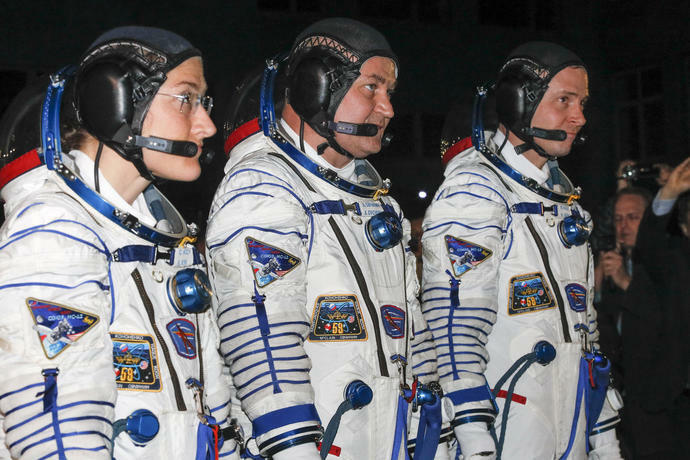 NASA and Roscosmos praised the crew's valor and composure in the aborted launch and promised to quickly give them a second chance into space. "We don't accept the risk blindly, we have mitigated it as much as we can, and we always plan to be successful," Hague said. 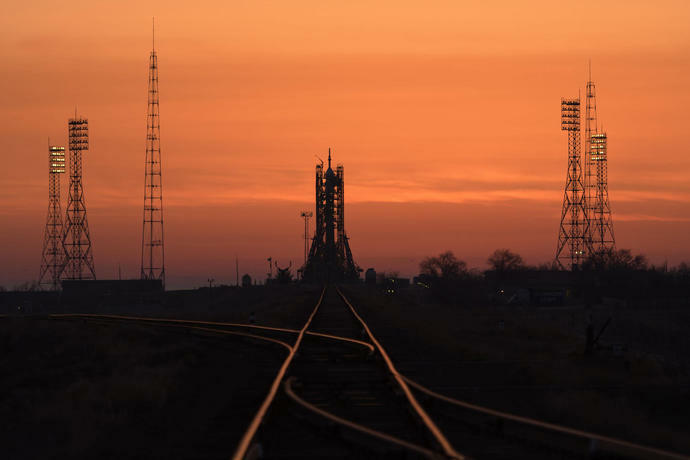 Ovchinin stressed that the aborted launch in October was an "interesting and very useful experience" that "proved the reliability of the emergency rescue system." 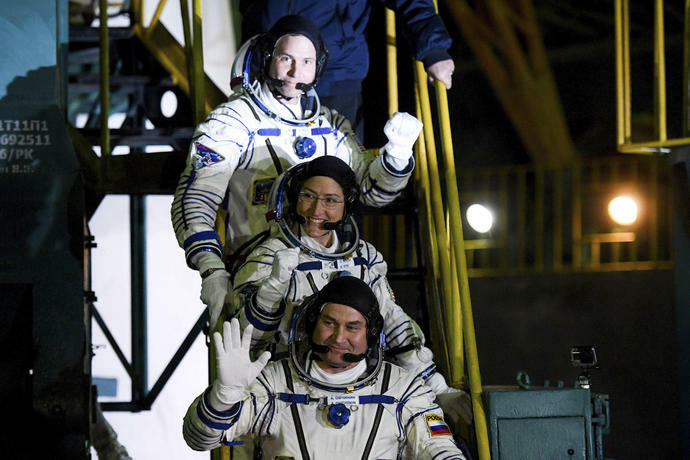 Since the 2011 retirement of the U.S. shuttle fleet, Russia's Soyuz spacecraft have been the only vehicles that ferry crews to the space station. 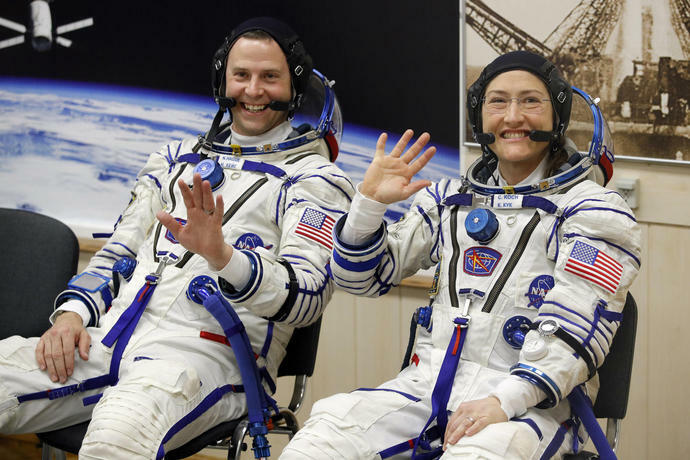 NASA, however, is counting on SpaceX and Boeing to start launching astronauts later this year. 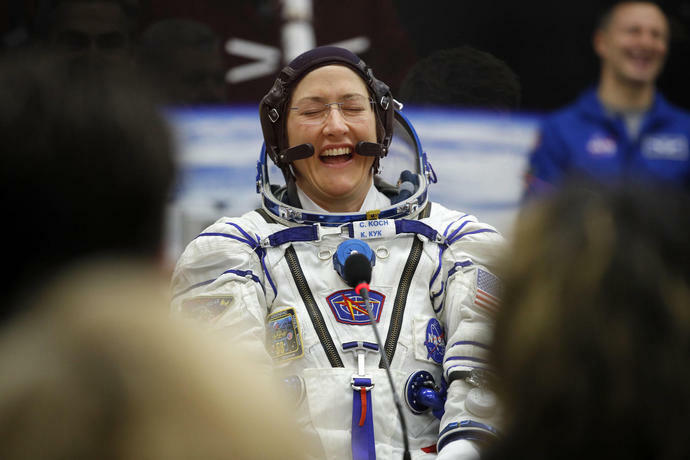 The SpaceX ship Dragon returned Friday from a six-day test flight to the space station and could take astronauts there on its next flight as early as this summer. The first "Mars quake" has been detected. 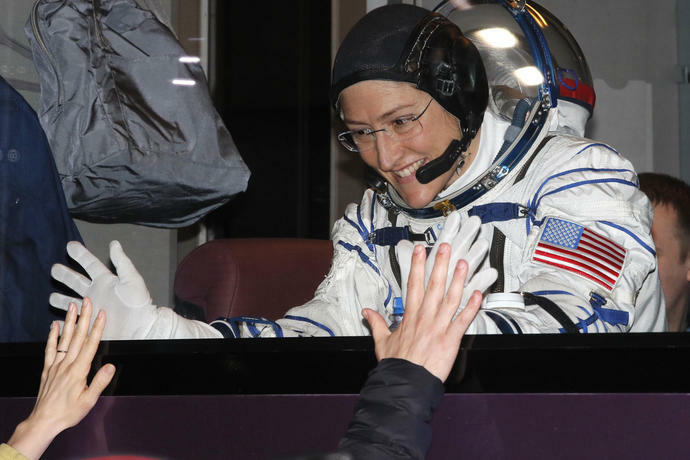 The finding "officially kicks off a new field: Martian seismology!," said Bruce Banerdt of NASA.